Drivers would be able to see how much tax they are paying on fuel under new legislation put forward by a Conservative MP. The RAC is backing the Vehicle Fuel (Publication of Tax Information) Bill, to be introduced by Peter Aldous MP on Wednesday (1 February), which would require the amount of money generated by fuel duty and VAT to be shown clearly on customers’ receipts. 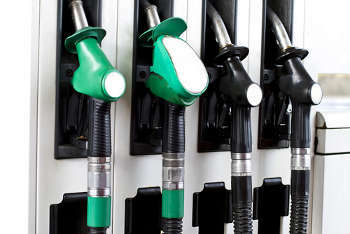 The motoring organisation pointed out that at the current price of around 120p for a litre of unleaded, 57.95p is fuel duty and 20p is VAT, while the cost of the fuel itself, including oil company costs and retailer margin, is 42p. This means the total tax take stands at around 65%. RAC fuel spokesman Simon Williams said: ‘We have been calling for some time for fuel receipts to show how much of each fill-up goes to the Treasury so we wholeheartedly support the bill being put forward today by Peter Aldous MP. ‘Motorists know how much Vehicle Excise Duty they have to pay to keep their vehicle on the road so it seems ridiculous they have no idea how much duty they are paying to the Treasury when they fill their vehicles with fuel. According to the RAC, fuel duty currently raises more than £27bn and with VAT the total tax take for the Treasury is closer to £35bn. The motoring organisation said its latest Report on Motoring found that 1 in 4 (24%) motorists still see the price of fuel as a significant concern.